Bomber jackets have been accompanying us for a couple of seasons now and aren’t going anywhere in the near future. 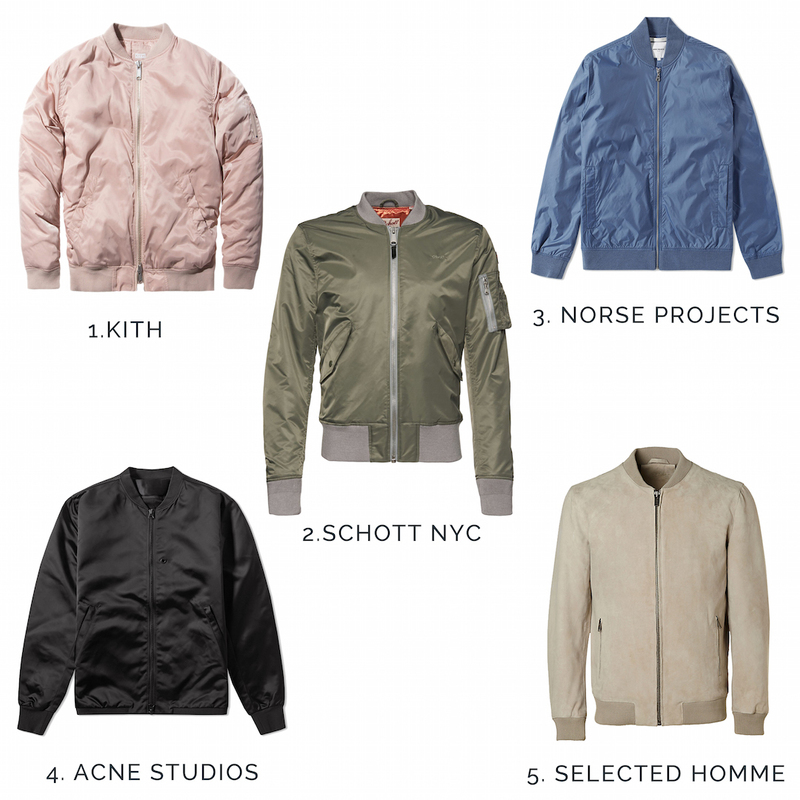 Also this spring a proper bomber jacket is a must have for every style-conscious man. 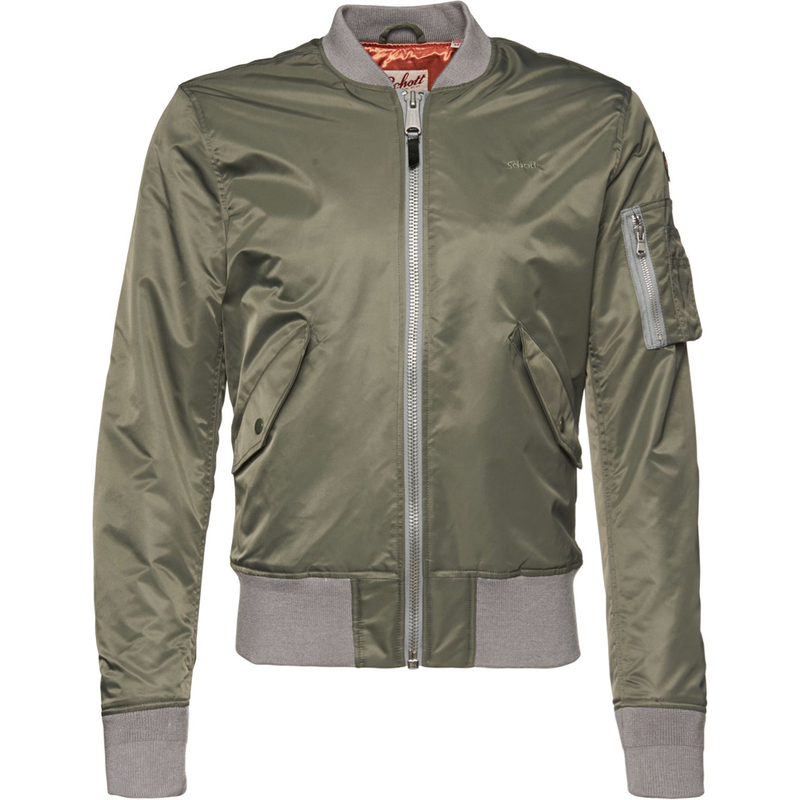 This spring bomber jacket trends combine the classic 50’s pilot jacket silhouette and revamp it with vernal trend colors and fresh fabrics for an upgraded modern look. 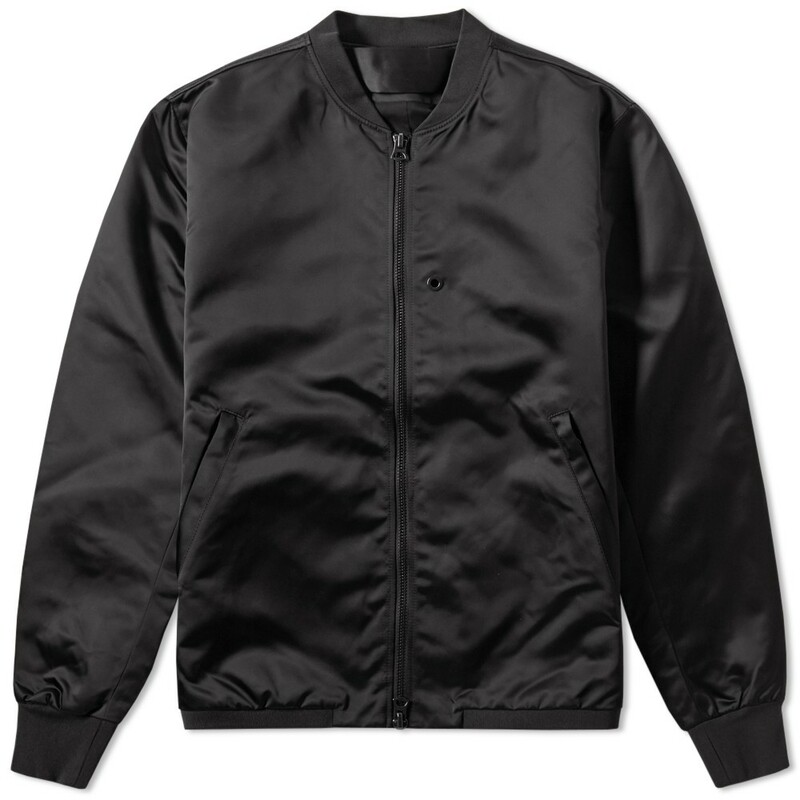 Bomber Jackets are extremely versatile and provide a classy yet casual urban look. Thus it really comes as no surprise these jackets have become a real institution in contemporary streetstyle. I wear bomber jackets almost every day. 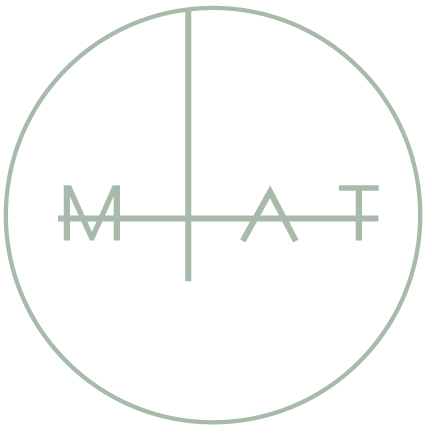 For a smart look I wear them over a classic button down shirt combined with a pair of chinos. If I want to go a little more casual I just style them with a plain tee underneath and a pair of denims. I even saw people wearing bombers over a suit, and it looked fantastic. The Apricot Bomber Jacket by New York based streetwear label KITH is a sensational key piece for this year’s spring season. Admiringly nothing for a conservative taste its color and shiny material make this one a real eye catcher. The apricot pastel pink might come over a little bold at first but is considered to become one of this spring/summer season’s major color trends among fashion experts. With a jacket like this I recommend keeping the rest of the outfit rather basic and combine it with mono colors. Also the Schott NYC Pilot Jacket comes from the vibrant metropole on the U.S. east coast. It convinces with a sharp slim fit which strongly reminds on the classic pilot jacket silhouette from the 1950s and superior quality. I own one of these bad boys myself and I’m super satisfied with it. The Khaki green with the grey collar and cuffs makes this one a great match with either an all black outfit or a pair of blue denims and a white tee. Blue is yet another trending color for the upcoming spring/summer season. 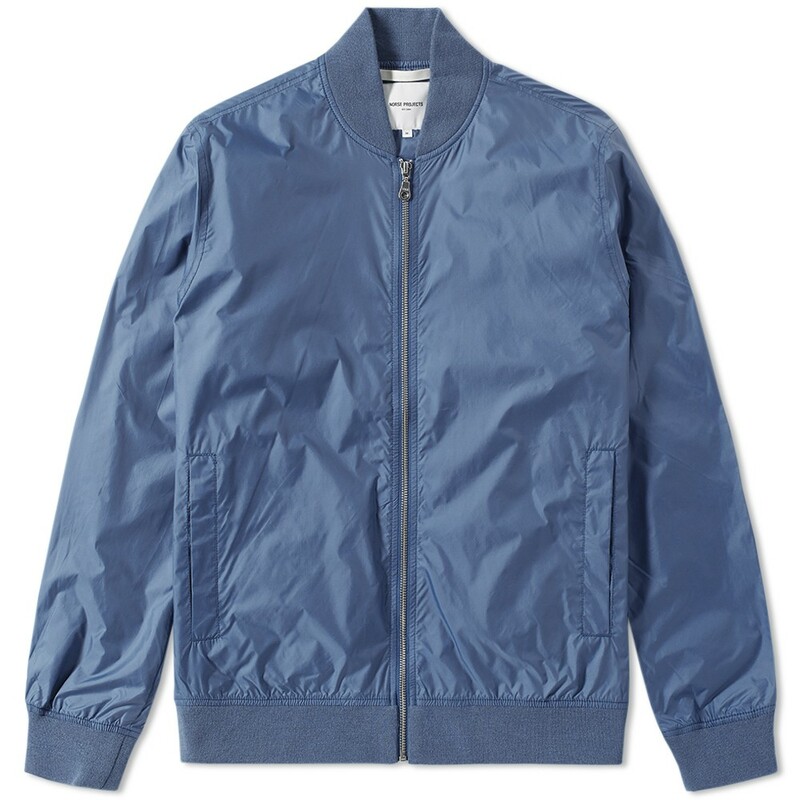 The Norse Projects Ryan Bomber comes with a minimalist design and a straight bomber jacket fit. I recommend combining this beauty with a pair of bright white or stone pants and an off white or light grey tee. If you like blue, you can also go for a faded light blue top underneath. This shiny black bomber jacket from swedish avantgarde fashion house ACNE stands out with a more futuristic design and fabric. 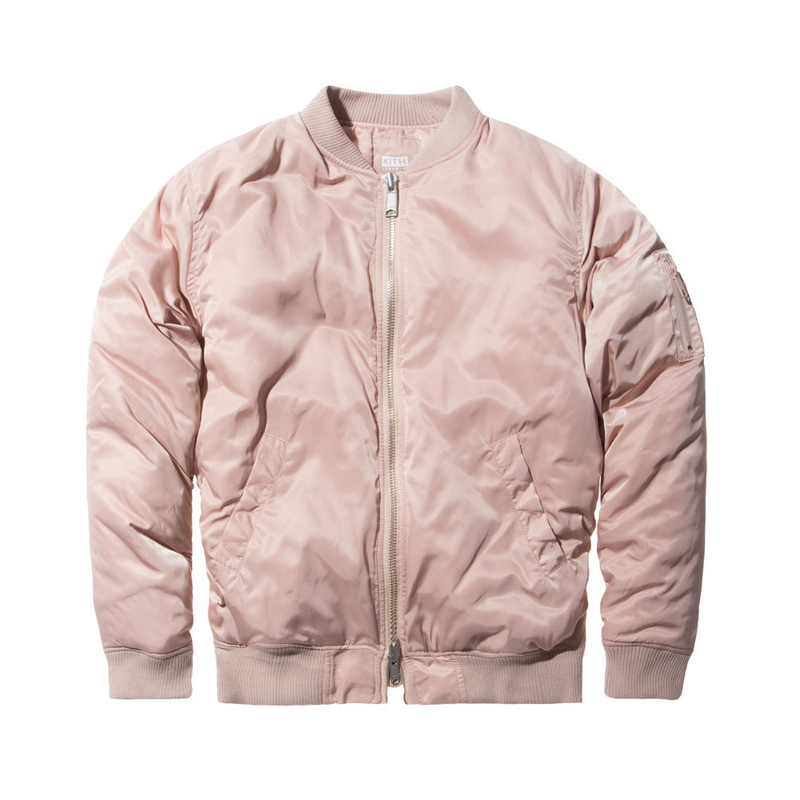 It combines the bomber jacket silhouette and a blouson fit with minimal padding. This timeless jacket is best combined with a drop-crotch chino with a pleated waistband and cropped legs and a classic fit (striped) tee tucked into the pants. 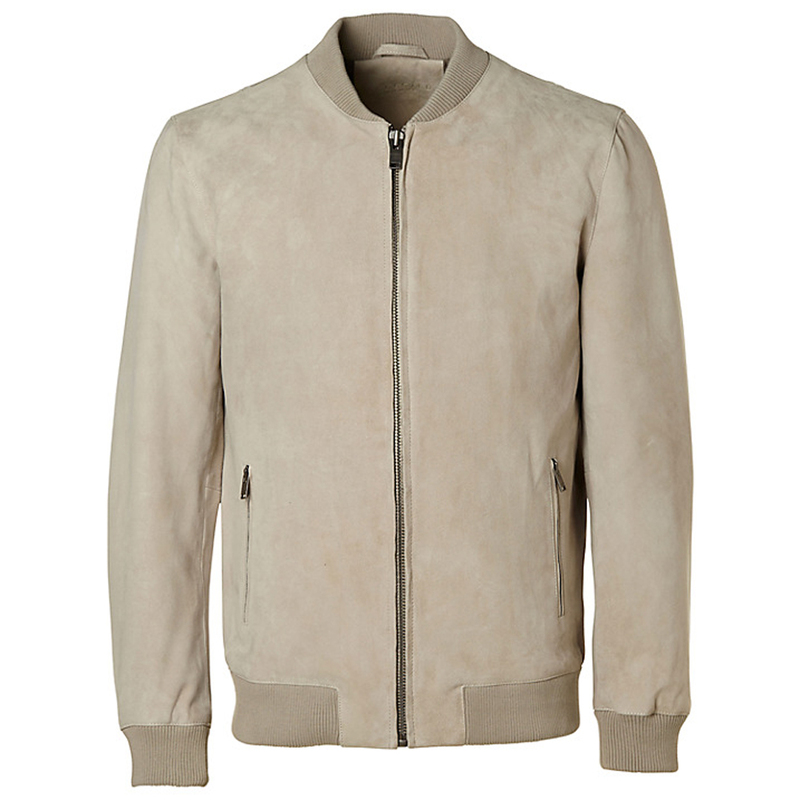 My last choice is this elegant beige suede bomber jacket from Selected Homme. It features a minimalistic design and super soft suede leather material with ripped cuffs, collar and hem. Combine this jacket with beige chinos and a sand- or cream colored top for a cutting edge spring summer look.